We suspected it. Now it's been confirmed. 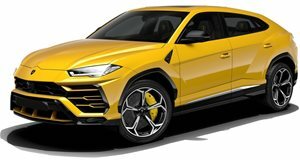 Now that the Lamborghini Urus has launched to great success, it’s time for the Italian supercar brand to finalize future plans. It’s no secret that successors to the Aventador and Huracan will happen, the former will even feature a naturally aspirated V12 with electrification, but what about a fourth model line? Autocar spoke to Lamborghini CEO Stefano Domenicali and discussed a number of topics, among them a confirmation of what we previously suspected. So when will that grand tourer ultimately arrive? Well, once Lamborghini achieves the stabilization is requires. Domenicali stated that sales forecasts indicate that by 2025 his company will be in the position to launch this fourth model. This isn’t the first time Lamborghini seriously considered a 2+2 grand tourer. Remember the 2014 Asterion concept? Revealed by Domenicali’s predecessor, Stephan Winkelmann, who now leads Bugatti, the Asterion was also a plug-in hybrid with an all-electric range of around 31 miles. But it still retained the longitudinally-mounted, naturally aspirated 5.2-liter V10. Combined with three electric motors, total output reached 910 hp. 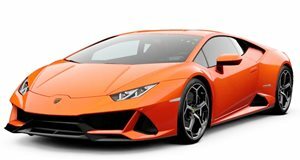 So why didn’t Lamborghini build it? Reception was mixed and there was greater demand for an SUV. There’s also historical precedent for a Lamborghini grand tourer. Just look at the iconic Espada. 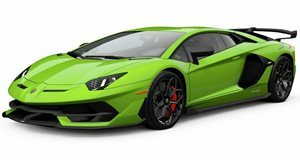 Lamborghini has already laid the groundwork for expanded future production by heavily investing in its factory in Sant’Agata. It can now easily accommodate Huracan Evo, Aventador, and Urus production without breaking a sweat. This major plant enlargement is also intended for new model lines. We highly doubt Lamborghini will call its upcoming grand tourer Espada, but Asterion is still certainly possible. Also, will it be a plug-in hybrid? A pure electric? We’ll know for sure in less than six years.